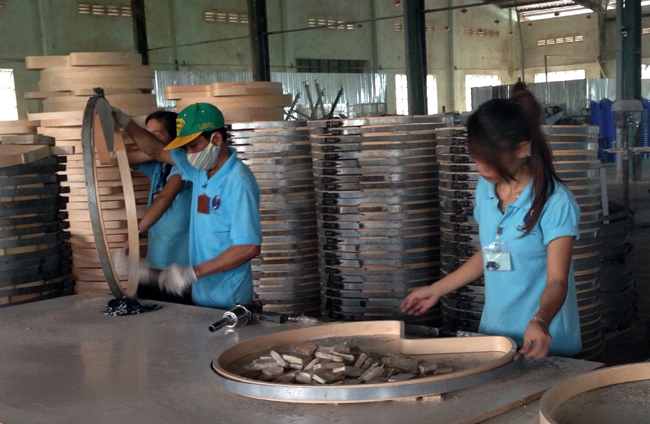 ONP-Viet Nam, a US company that manufactures wood products for exports, has been in Viet Nam since 2010. 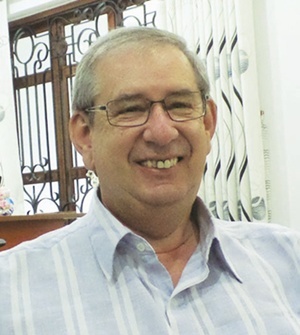 Patrick McNeal, its President and General Director, speaks to Viet Nam News about entering foreign markets and his company's experience with exports. What potential do you see for Viet Nam's wood products exports? I think there is a lot of potential for growth in Viet Nam's wood products industry. Viet Nam already is the second largest wood exporter in Asia, and the largest in Southeast Asia. There is a lot of interest in purchasing wood products from the country because of the low cost of labour, low operational costs, a friendly regulatory environment, and political stability. Viet Nam joined the WTO in 2007 and will hopefully sign the Trans-Pacific Partnership agreement (TPP) later this year. These open new opportunities to wood exporters. Your company's orders from the US have kept growing. Tell us about the potential of that market for Vietnamese products? The US economy took a downturn in 2009. Our customers saw a 20 per cent decline in their sales, which translated into a 20 per cent decline in orders to us. Through aggressive sales and marketing, we gained new customers and were able to maintain our yearly sales revenue. Now, the economy in the US is starting to gain strength and we are seeing increases in customer orders. Our customers expect 2015 to be a very strong year. With our increased customer base, we expect 2015 to be good for us too. More and more US companies have started doing business in Viet Nam than ever. The US imports a lot of knit and woven apparel, footwear, and furniture from Viet Nam. There is a lot of residential furniture produced in Viet Nam and sold to the US. One thing that I have never seen is office furniture. That is a big industry in the US with sales expected to reach US$13 billion in 2015. What are the biggest disadvantages and weaknesses plaguing Vietnamese exporters of wood products? What should they do to overcome them to improve competitiveness and capture the US and other markets? The challenge for local wood manufacturers is figuring out how to take advantage of export opportunities. Most local wood manufacturers are very small businesses. They lack the capacity to take larger orders, struggle to find properly trained employees, and do not have access to loans. It is hard to grow a business with these obstacles. Local manufactures also have limited design and engineering capability. In 2012 we had some extra capacity and decided to take on some new customers. We found customers interested in doing business with us, but most needed at least some design and engineering assistance. Without this capability, we would not have been able to do business with these people. Most local manufacturers that I've visited suffer from a lack of well-trained employees, and suffer from too much waste in their manufacturing process. Most local manufacturers are trying to produce product with obsolete equipment and inefficient processing techniques. Local manufacturers must improve their management skills, actively train their employees, and improve their manufacturing capability. Local manufacturers should band together and share resources, and give each other support. Co-ops are common in agriculture. Wood manufacturing co-ops would be a way for small manufacturers to take and successfully produce large orders for export. Another thing local manufacturers can do to increase profits is to buy as much of their raw materials locally. I read once that wood manufacturers import as much as 80 per cent of their raw materials. Such was the case when we first opened our business. Now, we import about 20 per cent of our raw materials. We have actively worked to find local sources of materials. Locally sourced materials usually cost less, and have reduced transportation costs. What do you see as the biggest obstacles a foreign wood export company faces in Viet Nam? I think the biggest obstacle is the lack of skilled employees. It is not a problem that can be solved quickly. There is a lot of cheap labour available, but few skilled workers. There is a difference between finding employees with education and employees with skills. Not everybody, that goes to school, learns. I see many employees that have all sorts of formal education, but still do not know how to do even the basic things required for their jobs. This wastes time and money, something that is in short supply for a small manufacturer. Probably the second biggest obstacle is a lack of credit. Manufacturers need to invest in buying better equipment and need to purchase large amounts of raw materials so that they can produce products for export. It is very hard to make these investments without access to loans. What should the Government do to develop exports of wood products while also protecting the environment? Where does the environment figure in your company's operations in Viet Nam? The better educated a manufacturer becomes, the more it will protect the environment. Really, processes that damage the environment are another form of waste. The Government could help wood manufacturers by providing education. The government could also sponsor wood technology classes for direct workers. The majority of our employees come to us without any knowledge of woodworking at all. When I was 20, I took a woodworking technology class and it helped me get my first job in a woodworking plant. I would love to see the same classes offered to workers here in Viet Nam. Protecting the environment does not need to cost you money; it might actually make you money. For example, it is common here in Viet Nam for people to use conventional spray guns for applying sealer and top coat. A couple of years ago, we switched to the latest technology. The new system cost $15,000. The new equipment paid for itself in three months by reducing the amount of finishing material we needed to purchase. All that finishing material that was not being sprayed into the air improved the air quality in our factory; the filters we use to capture those airborne particles last longer. We used to change the filters every week; now they last three months. Do you have plans to explore the Vietnamese market, a large one with 91 million people? Can you tell us about them? One of the things I have always been amazed about is how many small wood manufacturers have licensed their business for only export. They cannot sell to the local market. I have always thought this was a shame. Viet Nam makes some very nice wood products. They all go to other countries and the locals are left with inferior products either imported from China or made by very small family businesses. Vietnamese families have money and want better goods. There are many that want and can afford these things, and cannot find them. When we invested in Viet Nam, it was for the purpose of making and exporting wood products to the US. But when we set up our licence, we set it up so that we could sell to the local market as well. We designed several small products made from waste materials for sale in the local market.